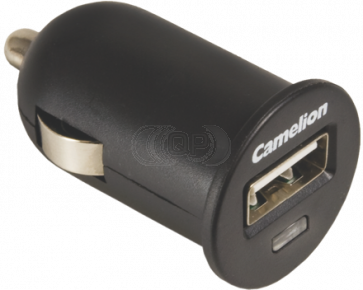 Car Charger with USB Port 5V, 1000mA direct power source for iPod units, iPhone, mobile phones, PSP, Blackberry, digital cameras and other music players and devices. Just plug it in to your car cigarette or plug into electric socket, power up and start to play. Short Circuit Protection Damage to the Charger and mobile device is prevented in case of a short circuit.